Data and Computer Systems are vulnerable to hackers and insider threats. According to security experts, firewalls and access controls can only stop 65% of all cyber-attacks. Once they get through the firewall, the last line of defense are WORMdisks™ and CYBERdisks™ which provide continuous, automatic cyber-protection for data and systems. Regain confidence in your systems and data. 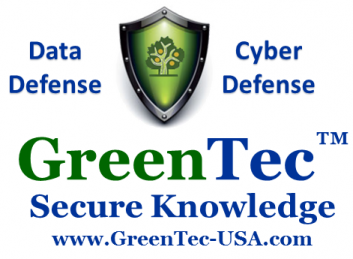 GreenTec cyber defense technologies are safe, fast, easy to use, interface to existing computer systems, support native file formats and use standard applications. • Rack mount storage arrays from 2TB (1U server) to 504TB (5U server), up to 4.1 Petabytes per 42U rack. • In the Cloud. GreenTec-hosted, private customer-hosted, edge node to AWS, Azure and others.